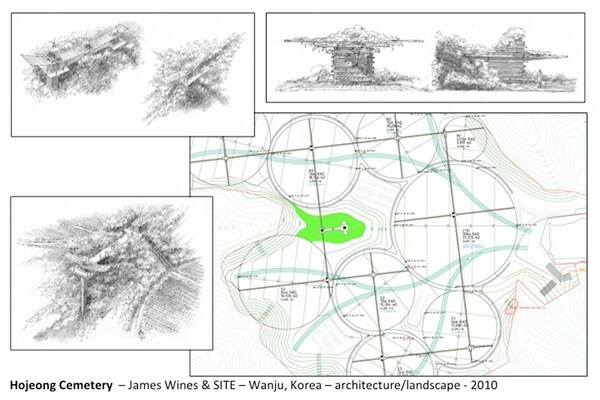 The location for this project is in a terraced valley, surrounded by forested mountains. 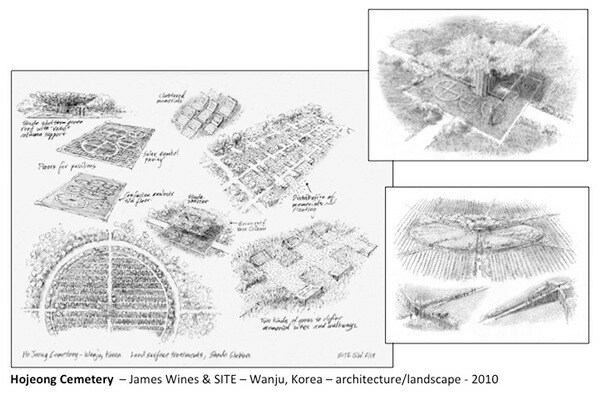 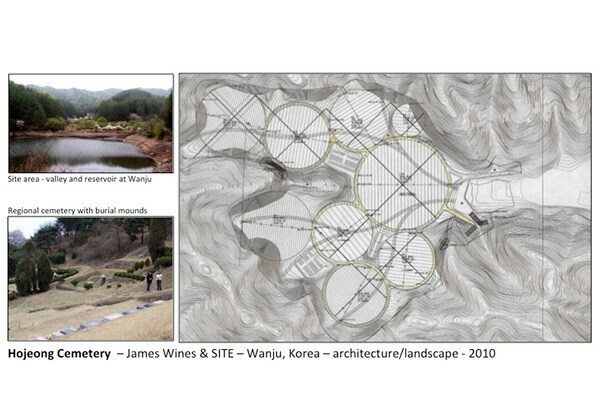 The concept proposes a series of nine inter-connected circles, reflecting the sequential stages of life according to Confucius, wherein he interpreted the terrestrial experience as a process of continuous social, psychological, and philosophical transformations. 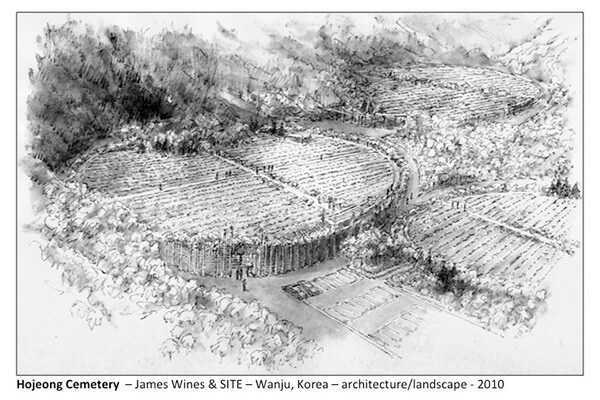 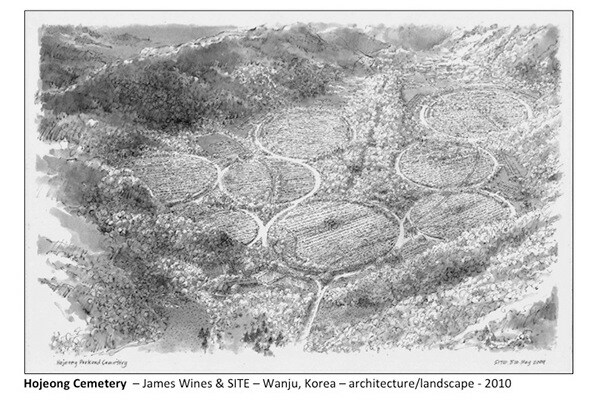 This integrative ‘earthwork’ includes memorial sites, a crematorium, visitors’ park, an overlook mountaintop bridge and a series of environmentally themed pavilions.